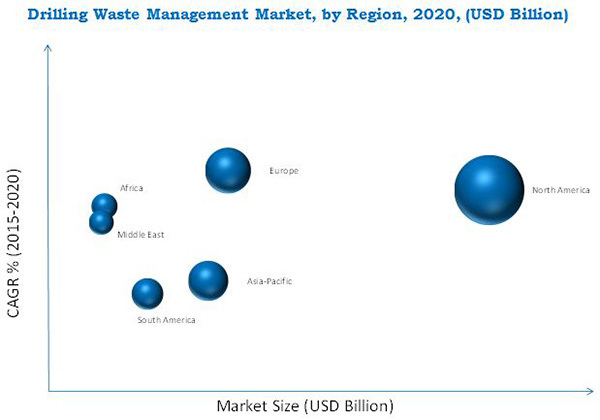 [202 Pages Report] The global drilling waste management market is estimated to be USD 3.80 Billion in 2015, and is projected to reach USD 5.08 Billion by 2020. The market is projected to grow at a CAGR of 6.0% from 2015 to 2020. Rapid technological developments improving the drilling and production capability aid exploration and production activities in the deep-water and ultra-deep-water areas across the globe. These factors boost the drilling waste management market. 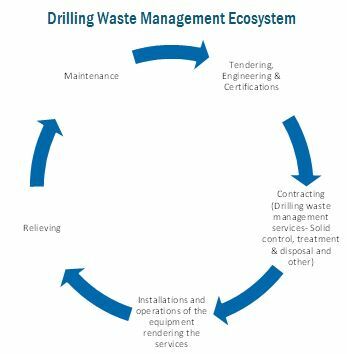 The drilling waste management contains three types of processes, namely, solids control, containment & handling, and treatment & disposal. The market is segmented on the basis of application and type of service. On the basis of application, the market is divided under the hood—onshore and offshore. It covers various important aspects of the market. These include analysis of value chain, Porter’s Five Forces model, competitive landscape, market dynamics, market estimates in terms of value, and future trends in the drilling waste management market. *Details on Business Overview, Products & Services Offered, Developments, SWOT Analysis, MnM View Might Not Be Captured in Case of Unlisted Companies.